Want to know if popups still work? This case study—in part, a review of the free optinopoli software—shows you how I took a website with some basic email signup CTAs, and boosted conversions by 600%, all in less than 10 days. Seems like a high increase? It is. Dramatically and quickly improve results by adding something more dynamic and effective. It’s tempting, when you look at a lot of marketing-related sites as I do, to believe that all sites have well optimized lead capture in place. As I’ve found through some of the consulting I do, a lot of business owners, through no fault of their own, struggle with lead capture. They aren’t sure what to do or how to approach it, and their business suffers because of it. It means they often have only very basic lead capture in place. Sometimes none. So, if that’s you, you’re certainly not alone. This case study shows you what’s possible when you apply a simple but highly effective lead capture technique. A lower number of leads from your website than you’d like. 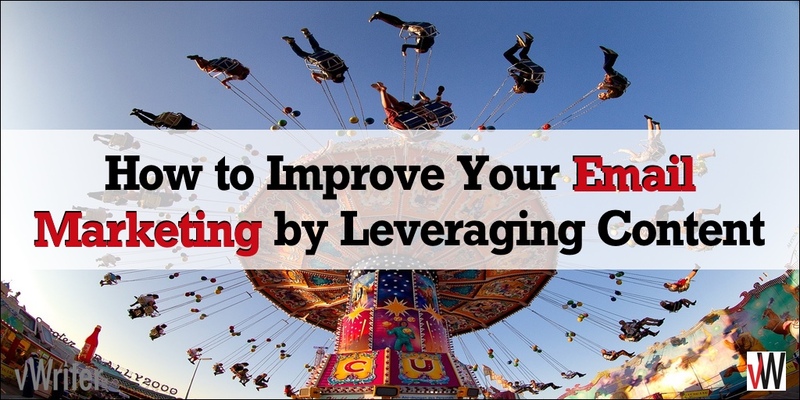 Difficulties in effectively converting visitors into email subscribers. The slow growth of your email list. Then this one’s for you. Read on. A reasonable amount of traffic to provide enough data to run the test. Other than that, the nature of the site itself wasn’t particularly important. 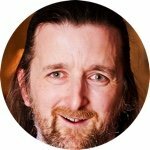 So I chose an old article directory of mine at articles.submityourarticle.com. This site used to attract thousands, but is sorely neglected now with my concentration on other projects. However, it still attracts a few hundred visitors a day, providing enough traffic to run some tests and get some results. Several months ago I quickly put some basic lead capture in place. Nothing special, just a few links to a lead page in a half-hearted attempt to extract a bit of value from the traffic it still attracted. The odd lead came through as a result, but that was about it. Because it’s an article directory, the content covers a wide range of topics. The traffic it therefore attracts responds poorly to any site-wide offer, as it’s so untargeted. So any signup offer related to marketing for example—the type of offer I used for the test—is of no interest whatsoever to the vast majority of visitors. Conversions are therefore, as you’d expect, very low. However, for the purposes of testing, it’s not the conversion rate itself that matters here. 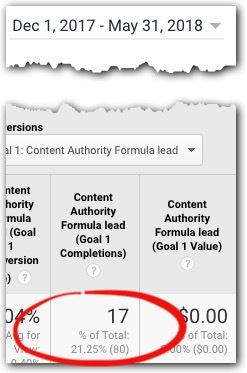 Instead it’s the difference in the conversion rate before and after adding more effective lead capture that matters, and it’s this that has important implications for your own website. I’ll give you the exact stats in a second. First, here’s how the lead capture looked before. As you can see, it involved the placement of links and banners in different places on the site leading to a lead capture page. 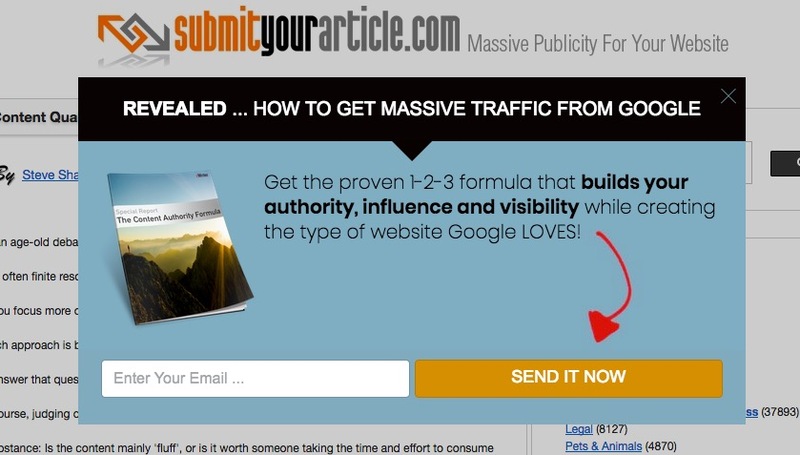 The image above shows how it looked at the top of the front page, with arrows pointing to the email signup CTAs. So, as you can see, there were multiple opportunities throughout the site to signup, and it was left like this for several months. I then wanted to compare the results from this against a new approach. In less than 10 days, the results from the main test—testing the email signup call-to-action links and banners, versus the popup—proved conclusive. This gives a conversion rate of just 0.04%. In other words, four-hundredths of 1%. So, yes, as expected for a generic offer to non-targeted traffic, very low. After putting the Lightbox popup in place, within just 9 days I already had a statistically significant result. The Lightbox popup, replacing what I had before, had increased conversions dramatically. For the conversion rate nerds out there, the P value was 0.03. Anything less than 0.05 is statistically significant. No negotiation. This gives a conversion rate of 0.28%. I know, the number of subscribers is low. As stated before, that’s just the consequence of running an offer to non-targeted visitors. But the difference between this and what we had before was dramatic, and enough to make the result conclusive. In fact, it’s a 600% increase. So what does this mean in practice? What could it mean for your own website? 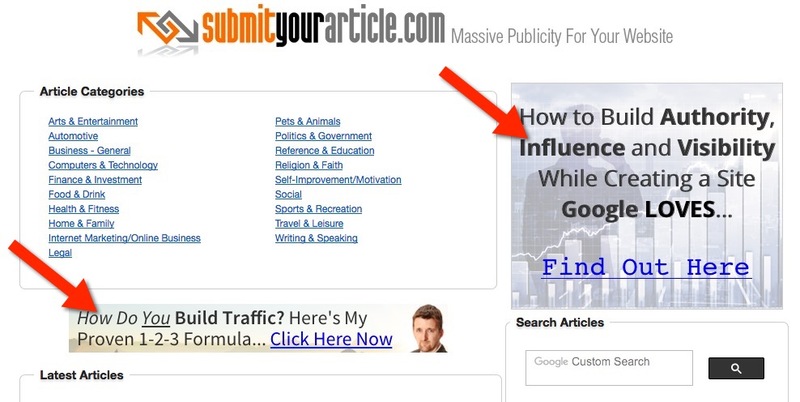 Before adding the popup, I was attracting on average 2.83 subscribers a month through the articles.submityourarticle.com site. With the popup, I’m attracting 6x as many—17 subscribers. (Again, it’s the increase in numbers that matters here, not the numbers themselves). In other words, it will now take just a month to attract as many subscribers as I used to attract in six. Let’s say you’re currently attracting 5 leads a day on average, around 150 a month.A 6-fold increase gives you 30 leads a day—or 900 a month. Or if you’re getting 20 leads a month now, you could be getting 120. For any business, this kind of impact is huge. Want to see how simple it is to put in place for yourself? Rather than posting lots of confusing screenshots, I’ve put together a set of quick video tutorials you can get sent straight to your email that show you exactly what to do. These tutorials guide you through the process. Each lasts no more than 4 minutes. Simply follow along and do the same for your own website. Within just a few minutes, you can have some highly effective lead capture in place on your own website using this free, easy to use software. Try it out. See if you achieve something similar to the same 600% increase I did. Of course, all sites are different so you may get a lot more, you may get less. But for a potential increase of hundreds of percent, it’s not something to be sniffed at. 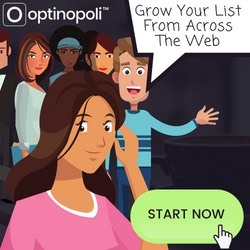 By reviewing the results of this case study provided above, you can see the impact that adding a popup from optinopoli can have on your ability to convert visitors to your website into subscribers, and grow your email list. It’s also free to use. 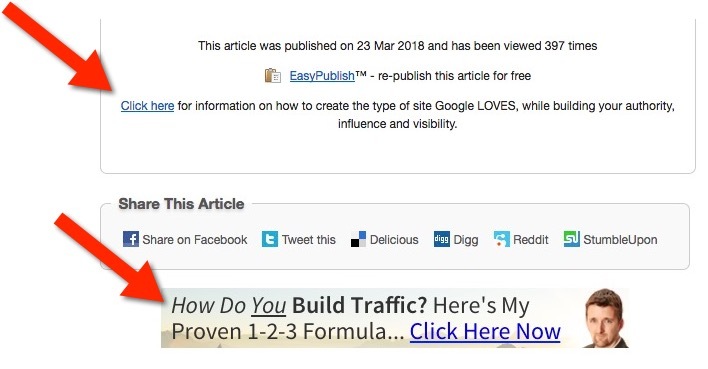 In short, popups continue to work and, if you’re not already using them, adding one to your own website is likely to have a similarly dramatic impact. So if you don’t yet have the quick tutorial videos mentioned above showing you exactly what to do, get them here.